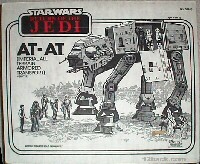 Imagine you're DARTH VADER with your giant 17½" tall, 22" long AT-AT. 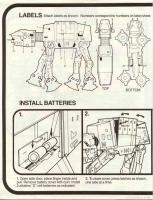 Legs can be posed and a lever moves head in any direction and also makes the two laser cannons light up and pulsate. 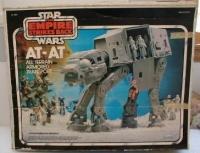 Two Action Figures fit in the AT-AT's head. 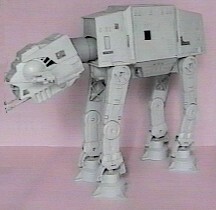 Two laser guns turn with a clicking sound. 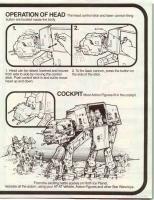 Remove side door and the AT-AT can hold up to 10 Action Figures. 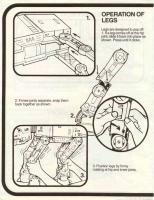 Two "C" batteries not included. Assembly required. Available Summer 1981. 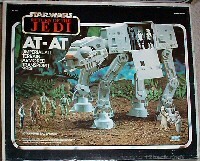 Back in the early 1980's, the AT-AT was just about the coolest toy that Kenner had produced as part of its line. 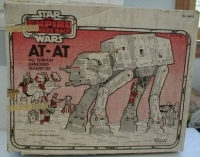 Unfortunately, it also just happened to be the most expensive Star Wars toy that was marketed during the period, retailing at close to $50 in 1981! 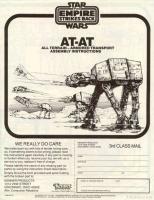 For the purpose of comparison, Sears listed the AT-AT for $47.99 in their 1981 Wish Book while selling Slave 1's and Snowspeeders for $14.99, and the Falcon for $32.99. 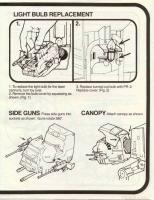 Chin guns light up and "pulsate." 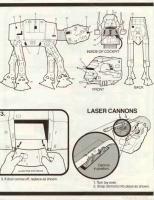 Side lasers turn and click. Side door opens for interior access. 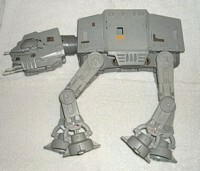 The four legs are poseable. Canopy opens providing room for two action figures (right).